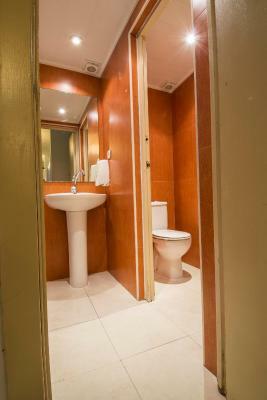 Very helpful staff, perfect place, the bathroom is in the room. The location of the property is awesome. It is next to the beach and there are plenty of restaurants around the corners. The only good thing about this hostel was the location. Perfect view!! The hostel is right in front of the sea and I could actually watch the sun rise every single morning as long as there's no rain. Friendly staff at the 24-hour counter. They are so nice and they let us store the luggage after checking out with NO limitation on the last time to take it out. The room is fairly spacious for eight of us to stay in and move around without feeling ridiculously crowded. Every bed has its own personal light and plug right beside the head. Public area( lunge at the first floor and aisles in the buildings) is light and clean. There are also several markets around--not big ones but enough to survive. The hostel is situated right at the beach, the only thing being that it's behind their restaurant and it's entrance is from inside the restaurant So, it's not immediately visible from outside. 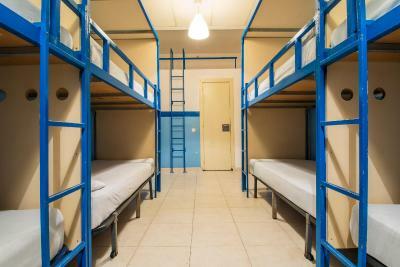 Other than that the dorms are really good, the bathroom and the toilet were clean, warm water was available and staff was quite welcoming. The 2€ breakfast is more than enough to get you started for the day. Highly recommended! 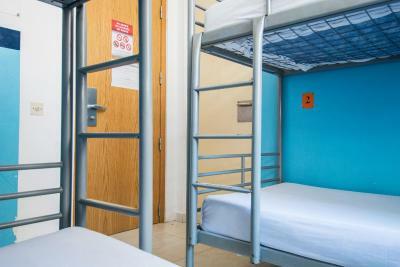 Comfortable beds, amazing location, clean, big lockers, good breakfast for only 2 euros, seems to be safe place as well. 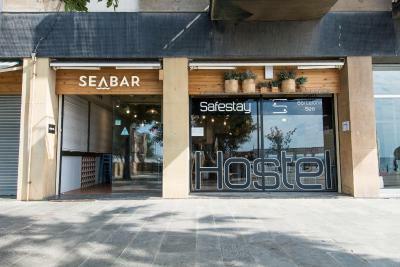 Offering a superb location right on Barcelona’s Barceloneta Beach, Safestay Barcelona Sea has 24-hour reception and a free WiFi zone. 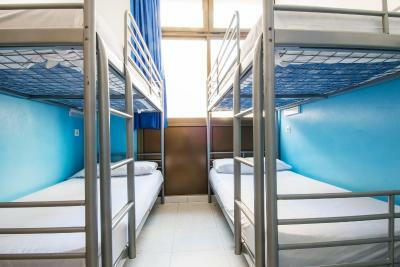 It offers bunk beds in mixed dormitories with reading lamp and power socket. 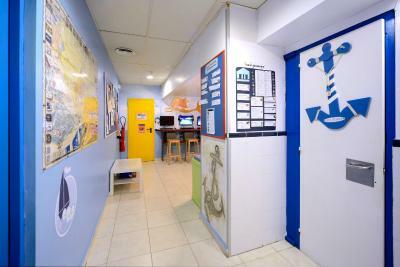 Luggage storage is offered and the Safestay Barcelona Sea has a bar and snack bar. 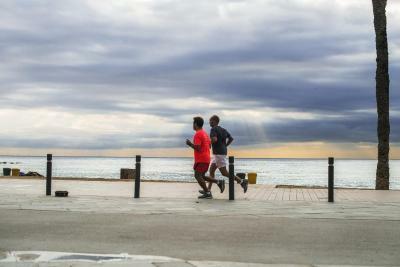 You can enjoy breakfast at a table outside on the seafront promenade. 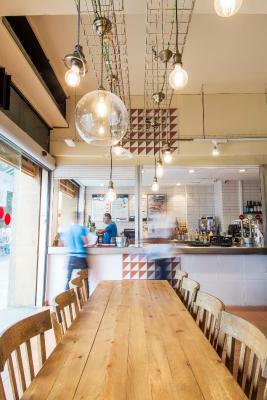 Barcelona’s former fishing district, Barceloneta offers the city’s best range of seafood restaurants. 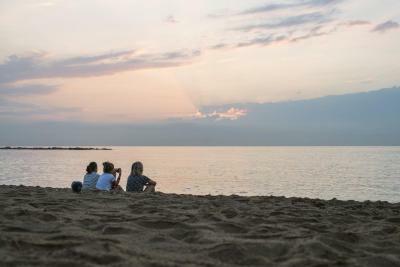 Many beach bars are in the immediate area and regular busses from opposite the Safestay Barcelona Sea take you to the Ramblas in 10 minutes. 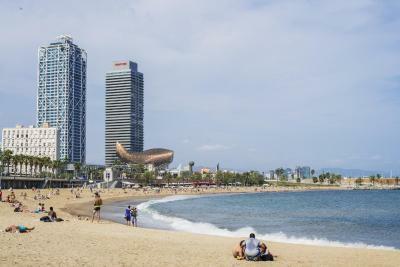 Barceloneta Metro Station is a 10-minute walk away. 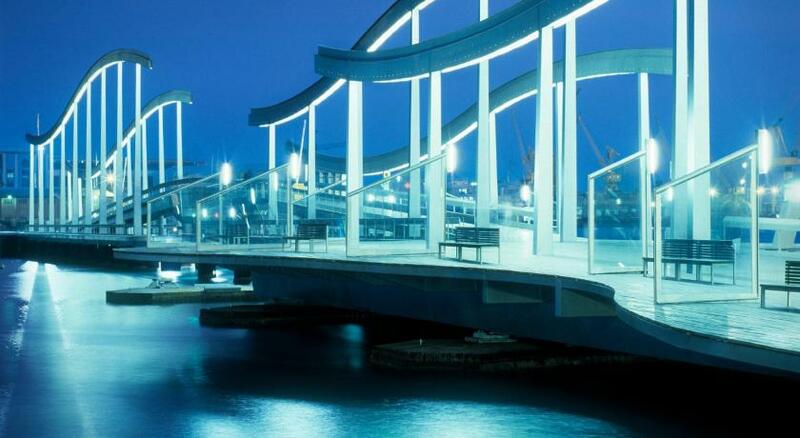 뀐 Located in the top-rated area in Barcelona, this property has an excellent location score of 9.1! 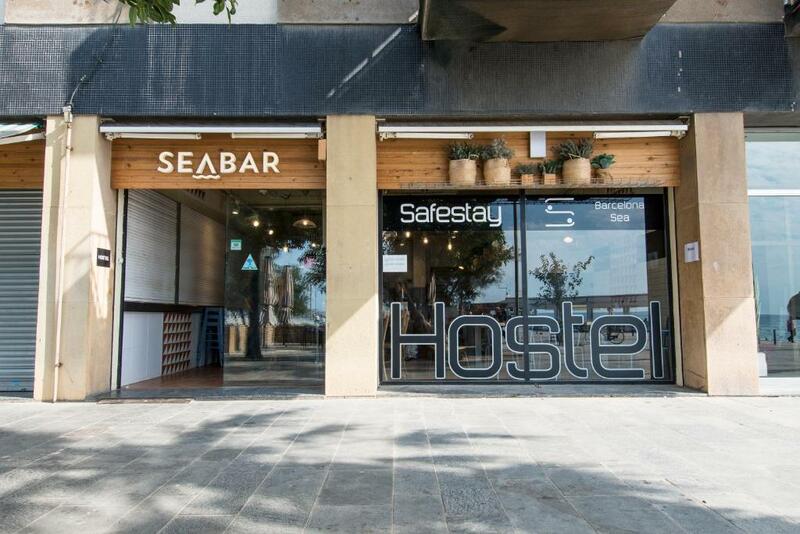 When would you like to stay at Safestay Barcelona Sea? 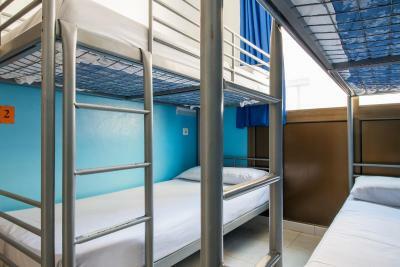 This bed in dormitory includes a personal storage, reading lamp and power socket. 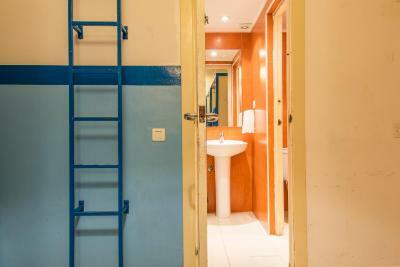 House Rules Safestay Barcelona Sea takes special requests – add in the next step! Safestay Barcelona Sea accepts these cards and reserves the right to temporarily hold an amount prior to arrival. 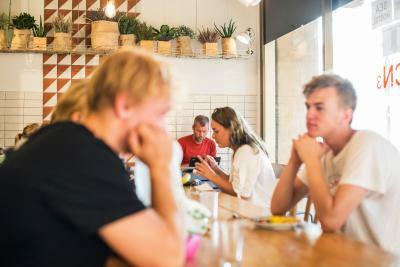 Guests under the age of 18 are only allowed to check in with a parent or official guardian. 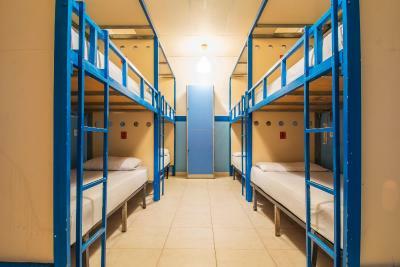 They can only stay in private rooms or dormitories reserved exclusively for use by a family group. When booking 10 beds or more, different policies and additional supplements may apply. 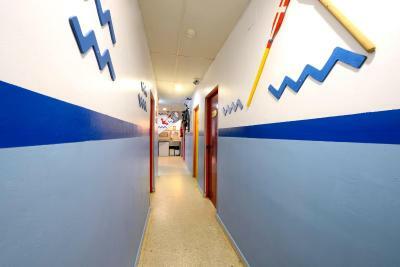 The rooms are open to each other which let you hear what everyone is saying in the other room and could be noisy and annoying. The wifi doesn't work in the second floor since weeks and you'll have to connect downstairs to be able to use it. Breakfast is very limited. The staff were very friendly, always a natural smile from all the different staff members when you walked past reception to go to your room. I requested a bottom bunk bed which they couldn’t accommodate on the first night however they changed my room for the following 3 nights to accommodate the bottom bed which is very good. Shows that they went the extra mile for me. The location is my favourite. Literally 50 metres away from the beach. 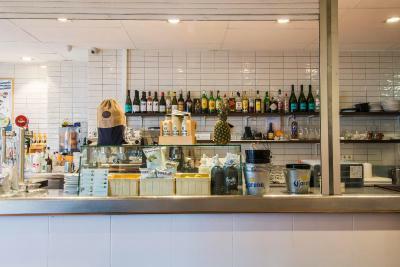 Love it when you can have breakfast with a beach view if you’re lucky enough to get a table by the window. 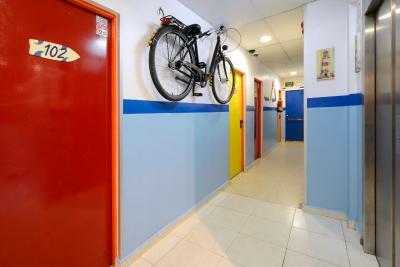 What I would recommend everyone staying at this hostel is if you get a T10 Barcelona transport card is to use it also on the bus which goes directly to Barceloneta metro station. This will save you from walking all the way to the station which can be a long track to walk especially when you come back from a tiring day of exploring Barcelona. 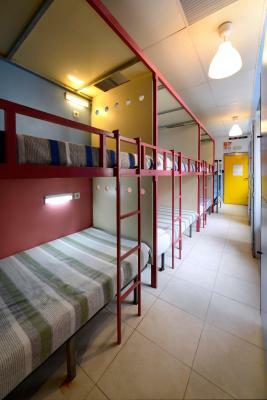 The hostel located in front of Barcelonata sea.. so I can hunt for sunrise in the morning, and it is a very nice experience for me. No working WiFi! This is horrible! Staff seemed less bothered about it. Probably the owners don't even know. Had wifi. But it didnt work no internet. Staff helped by giving us a diffrent wifi but signal was bad from our room. 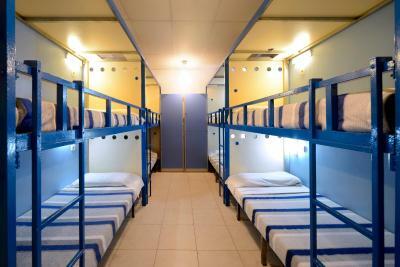 The price for such hostel is too much. Rooms are WITHOUT WINDOWS!!! Very noisy!! I will never back here and don't recommend you to stay here. If you need lock you need to pay near 3 euro. towel - 2 euro. Very noisy!! 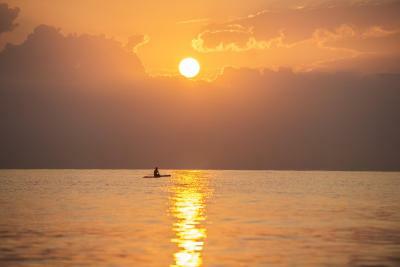 The only one - is location near sea. 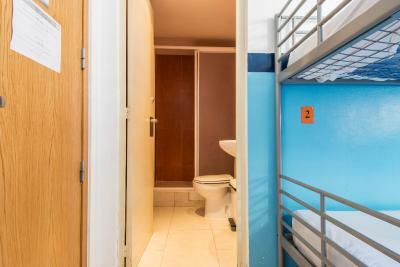 There is only one toilet in the 8-bed room. In the morning, there will be a long waiting to use the toilet. The bed is not much comfortable for me because of it collapse in the middle. Location is great, near the sea. 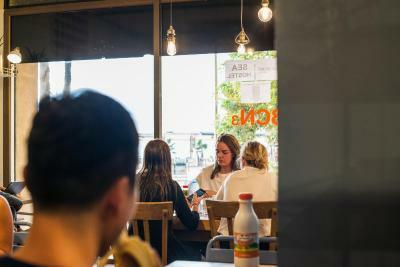 There are a lot of café and couple of markets near by. 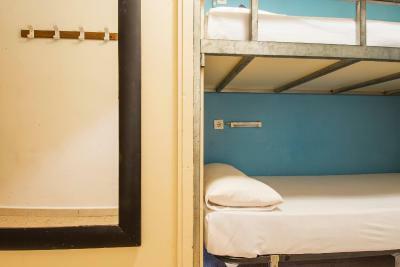 Extremely loud hostel with an apparent lack of control from staff on keeping the noise down. 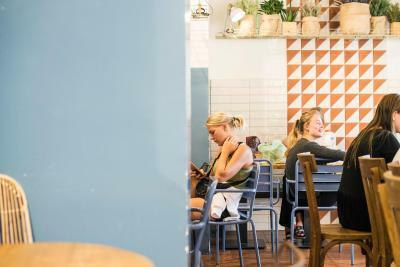 WIFI was poor and the lack of a real, comfortable social area (empty, closed cafe doesn't fulfil this) was a real bummer. Not a great place for meeting people if you're travelling solo. Great location next to the beach if that's your thing. Breakfast was convenient but very basic. The coffee machine used isn't great at all.